Developing a brand-driven business is the only way to build a sustainable competitive advantage in today’s ever evolving market. 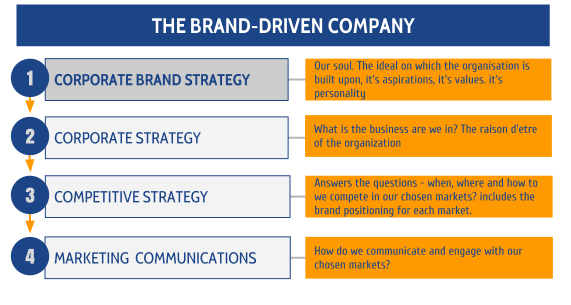 A brand driven business means that ‘brand strategy’ trumps all. The brand strategy encapsulates that the ideal, the core idea behind the business, its values and aspirations, it defines the brands greater purpose are the drivers of progress and growth.